Scientists have linked air pollution with many health conditions including asthma, heart disease, lung cancer and premature death. Among air pollutants, fine particulate matter is especially harmful because the tiny particles (diameter of 2.5 μm or less) can penetrate deep within the lungs. Now, researchers have integrated data from multiple sources to determine the personal exposure of people in peri-urban India to fine particulate matter. They report their results in Environmental Science & Technology. According to the World Health Organization, 11 of the 12 cities with the world's highest levels of fine particulate matter are located in India. Human sources of these air pollutants include factory emissions, car exhaust and cooking stoves. 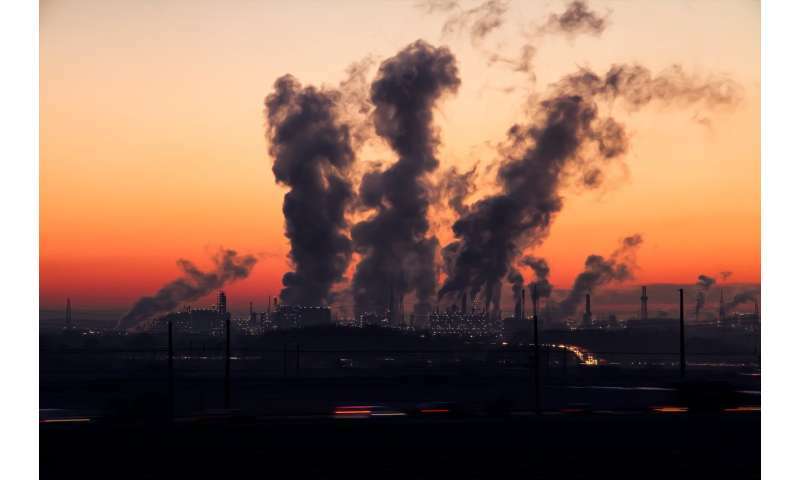 Countries with limited resources often have increased air pollution compared with other countries, and their sources of exposure are likely different. However, few studies have been conducted to measure personal exposure to air pollutants in these regions. Cathryn Tonne and colleagues wondered if they could use a combination of techniques to measure the contributions of time (when? ), location (where?) and people's activities (what?) to personal exposure to fine particulates in peri-urban India.